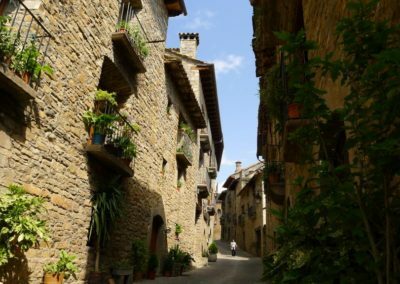 Aínsa, with its historic quarter and its strategic position above the confluence of the Rivers Ara and Cinca, is the most important village in the Sobrarbe region and a medieval treasure declared an Art-Historic site in 1965. 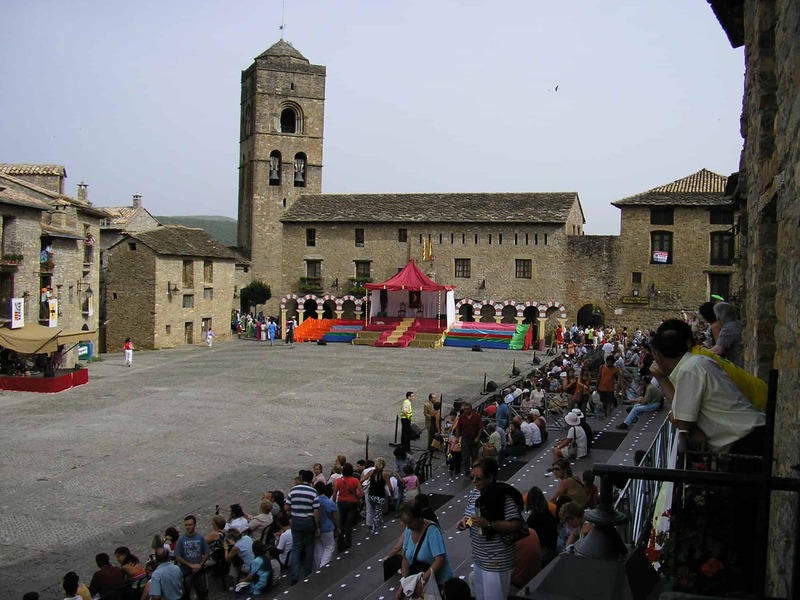 Its 12th and 13th century main square is one of the finest in Spain. The arched portals along each side of the square hark back to its original role as a place of markets and fayres. The Romanesque church of Santa Maria, built between the 11th and 12th centuries, is one of its most eye catching features. 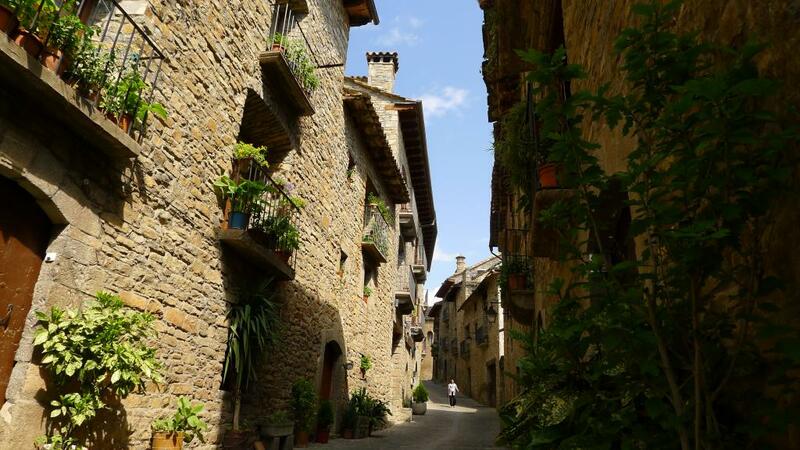 Ainsa’s ancient, cobbled streets are a beautiful place for a relaxed stroll. 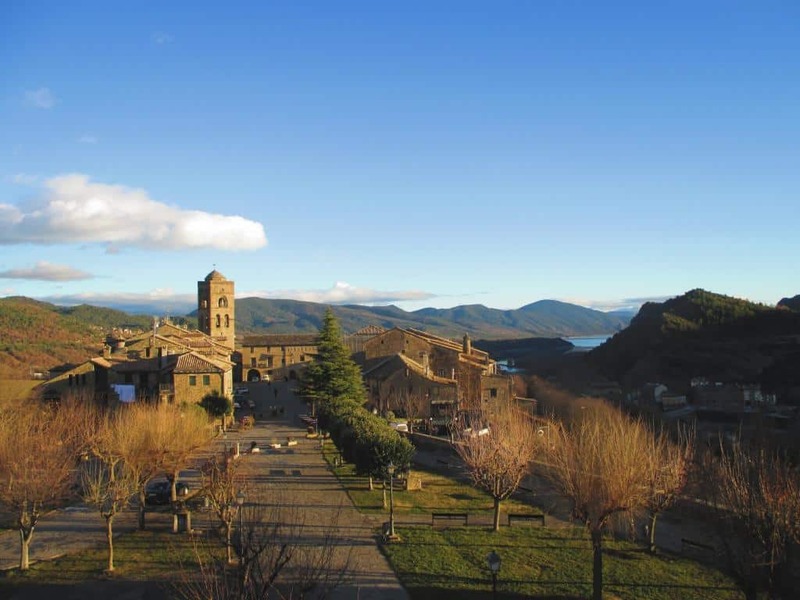 In the castle, with its 11th century tower and its 16th century citadel, you’ll also find the Geopark museum and the Pyrenean fauna Eco Museum.In the northern outskirts of the village stands the “Covered Cross”, a monument erected on the supposed spot of the miraculous apparition of the “cross in the oak”. Legend has it that at dawn on the day of the retaking of Ainsa, Garci Ximénez’s Christian troops conquered the Moorish garrison thanks to the vision of a burning cross in an oak tree. 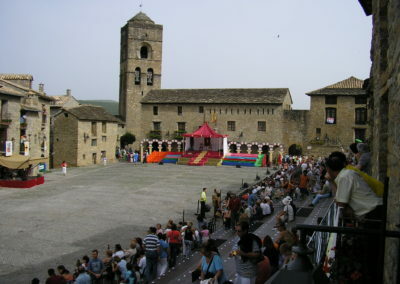 Every two years, the village of Ainsa commemorates this victory in a street theatre representation of the ensuing battle called “La Morisma”.